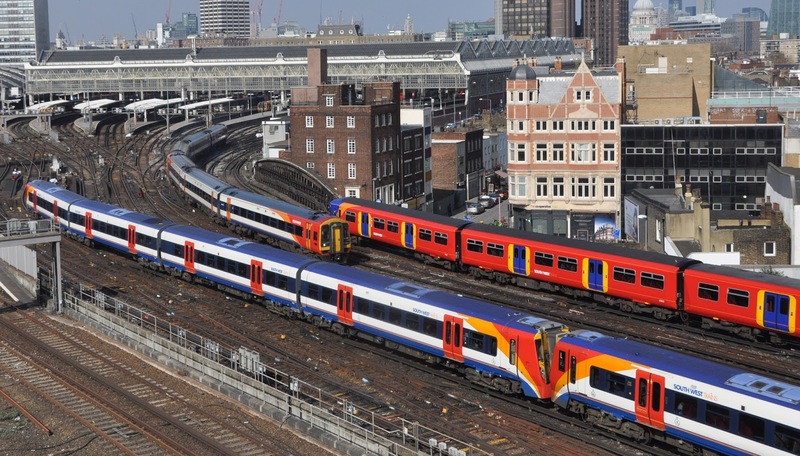 A busy scene at Waterloo- Britain's railways are now busier and safer than ever before according to the latest RSSB report. The Rail Safety and Standards Board has recently published figures revealing that there has now not been a fatal passenger accident on British trains for a record 8th year. This is a great achievement that the rail industry should duly be proud of- confirming rail travel as one of the very safest ways to move around the UK. The network is now busier then ever before with more and more leisure travelers and commuters choosing to take the train. The last fatal rail passenger accident was in February 2007 when a Virgin Trains Pendolino derailed at Greyrigg killing one passenger. More however could be done to curb railway suicides which reached an all time high this year. Investment is already being made by Network Rail and train operators who work closely with organisations such as the Samaritans to try to prevent people from ending their lives on the railways.